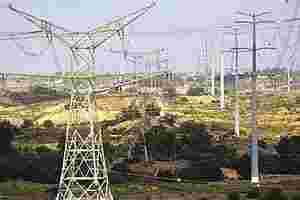 It has been known for a while that electricity distribution companies are the weak link in the country’s power sector. In fact, three utilities alone—those of Punjab, Tamil Nadu and Bihar—owe financial institutions as much as ₹ 61,000 crore. Their net worth stands at a negative ₹ 34,000 crore. This is not merely about losses and balance sheet chaos, it now poses systemic risks. As reported in Mint today, power distribution firms owe ₹ 1.77 trillion to various financial institutions. The bulk of this, around 60%, is owed to the Rural Electrification Corp. and the Power Finance Corp. Banks, too, have lent heavily to these entities. While this money has not been written off as non-performing assets, it is not clear how this huge sum will be paid back, if it can be paid at all. If anything, this is a threat to these state governments and their fiscal position. If these entities default, this burden will fall on the shoulders of the states that are already wobbly. And Punjab, Tamil Nadu and Bihar are not alone in this list. One solution would have been for state governments to “clean" the balance sheets and take over the debt on their books. This should be accompanied by higher tariffs on consumers and ending cross-subsidization. That option is not available now: in most states, no political party wants to take these steps. And in any case, losses and owed sums are enough to engulf state governments. It is time the Union government woke up to this dangerous situation.